The new 10,900-square-foot Argyle Feed & Hardware located at FM 407 and FM 1830 officially opened in 2015 offering everything from animal and pet supplies to hardware and sporting goods to lawn and garden supplies and more. 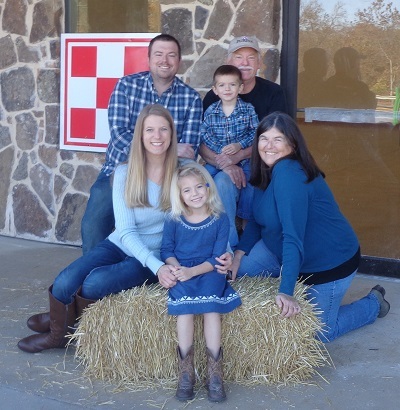 Jason Raynor and his father, Tim, recently took over ownership of the Argyle Feed Store with plans to make it a one-stop shop for everyone in the region. Tim Raynor offers his knowledge in agriculture obtained through managing his own cattle operation. “We want everyone to have fun in a family-friendly, country atmosphere,” he said of the store that features stone, wood and tin elements combined to create a country design. Besides overseeing Argyle’s store operations, Jason Raynor works as general manager for LS, Inc., a family-owned operation that provides a complete line of products to veterinary facilities including a number of zoos. LS, Inc. has sold Purina products for more than 15 years and is the fastest growing dealer in the state and among the top three in the country. Argyle Feed has the latest technology for check-out while supplying old school values and service by making sure each customer never carries out their own bags. Delivery service is also available. Argyle Feed also offers a conference room complete with a flat screen TV for area groups to gather as well as special educational seminars offering the latest information on animal feed and care. The wide porch entrance features a place to sit and chat as well as seasonal items. Inside, visitors find departments segmented to easily find what they are looking for – whether alfalfa and hay for their stock or a handful of nuts and bolts for their latest building project. Case knives, YETI coolers, Blue Rhino propane tank exchanges, bird houses, deer feeders and windmills are among the many items available. An extensive outdoor gardening section offers a wide array of seasonal plants. Whether you raise exotics, have a backyard chicken coop, enjoy adding to your landscape or love to hunt, it’s likely you’ll find exactly what you need atArgyle Feed & Hardware.